The current situation in Africa cannot be allowed to continue because Internet crime, intellectual property and identity theft is thriving and a good number of continent heavyweights have now begun to prepare for cyber-warfare, yet close to half of their population are living under a dollar per day. Criminal organizations are making hundreds of millions of dollars and appear to be re-investing to develop new and more sophisticated scams in the continent. African governments must act to reduce cyber-crime and to secure the key systems and infrastructure in the continent. African governments must not launch their e-government systems until security can be guaranteed. If necessary, they should only be utilized on a separate network through a secure network for key national systems and infrastructure. One of the most important services on the Internet today is still one of the most insecure, and that'semail. The fastest way for a criminal organization to breach security is through the use of email. It is fundamental that the use of SSL certificates for SMTP server to SMTP server communications and the use of SSL certificates for SMTP server to client communications be implemented first. I do also feel that most countries need new legislations that will set out a path towards Africa having two separate networks. One would remain the public Internet and the other would be a secure network for key national systems and infrastructure. Also, I feel it is important to make it clear how authorities disconnect parts of the network and to disconnect countries from the African countries network should be detailed. Protocols need to be put in place for these actions to occur and it must be decided who will carry out the actions. Legislation should set out a timeline and framework whereby equipment and systems suppliers will be required to improve their products with safety and security in mind because this has been a thorn to some governments in East and Southern Africa. 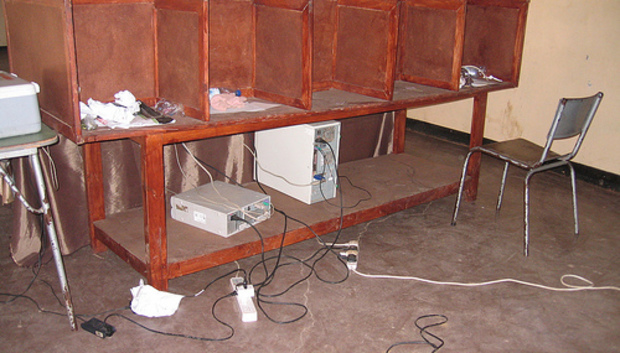 Certain well-known security flaws in the way computers are made and sold must be identified in the legislation and made illegal especially in East and Southern Africa countries where rogue suppliers thrive by selling substandard and refurbished computers which are sold at the same price as new ones. One of the many cases I have witnessed in African countries I have visited, Operating Systems are sold without adequate integrated anti-virus and anti-malware capability. I have always argued in the past that all computers connected to the Internet should be registered and the computer operating system should report the computers state including the health of the anti-virus and anti-malware checks. If you look at the automobile industry in the continent, which is equally growing at a very fast rate, registration is mandatory for any vehicle utilizing public roads in any country within the African Union member States. In 12 African countries I have visited, car roadworthy checks are carried out randomly and whenever a vehicle is sold, valuers have to value it afresh before a new buyer acquires it. African Union, Africa's governing body should take the lead by working with its member states to identify and try to solve some of the issues with the Internet. But the pace of this continental effort is glacial and more needs to be done to reduce cyber-crime in Africa. « Kathryn Cave (Global) - Is Facebook Another Britney?